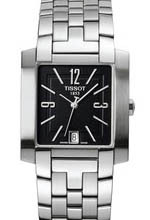 Description : Automatic ETA 2824-2 movement with 42 hours power reserve. Domed scratch-resistant sapphire crystal. Date display. See thorough caseback Water-resistant to 30m/100ft.